The management style of the company is based on participation, team-work and delegation where personnel members are able to make their own decisions. Production issues are discussed at daily meetings to find solutions; decisions are then made and tasks are delegated. Management places a tremendous focus on efficiency and productivity. Technical Systems was established and started production in 1993, with a total of three employees. Since then, Technical Systems has experienced a tremendous growth phase. In 1995 the total work force was 15 employees and within one year in 1996, the work force doubled to a total of 30 employees. Four years later in 2000 we employed 60 staff and in 2008 our compliment reached 120 staff. Today we are the largest poultry feeding chain manufacturer. During 1999 we started with the development if our auger range, and it took us almost 10 years to establish this range in the market. Our auger products have the highest fatigue resistance, a common failure in this application. As a result of this success, we branded our auger range in 2008 with the Trade Mark FATIQLESS. Today we are the largest auger manufacturer too, and we see good growth opportunities in the future. During 2010 subsidiaries Technical Systems Inc. in the USA, as well as Technical Systems BV in Holland were established. We have rented warehouse facilities available in Brazil, Malaysia and China. 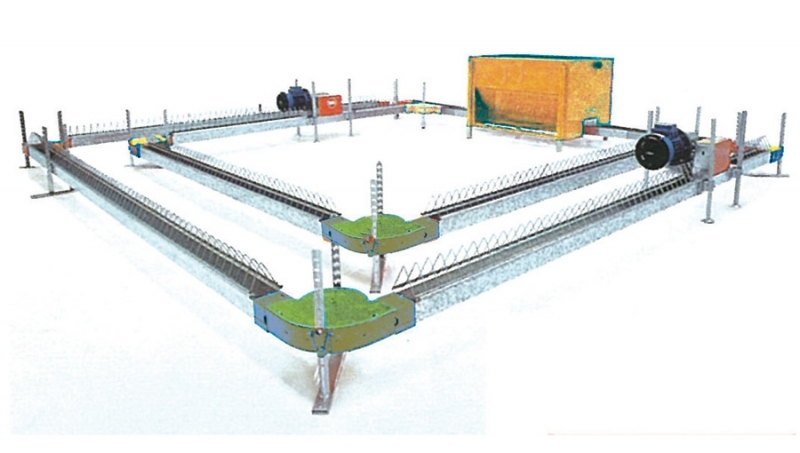 Technical Systems manufactures poultry feeding equipment, more specifically chain and auger conveyors, for the purpose of conveying materials in various applications. Of the material we manufacture, 95% is exported to the international market – directly to major Original Equipment Manufacturers to over 42 countries around the world. They in turn do installations worldwide, that ensures that our equipment is used in each and every country in the world. We continuously striving to improve the quality of our products and to add new products to our range for the international market, looking for opportunities in the poultry industry. We increased capacities over the years to accommodate growth and to enable delivery in short periods of time. Our capacity is 4 million meters of chain and auger each per year. Technical Systems was privileged to obtain awards for Exporter of the Year on numerous occasions. This being the fact that we export each year more than 90% of production, the growth rate achieved over the years and our direct strong presence in the world’s leading poultry markets.